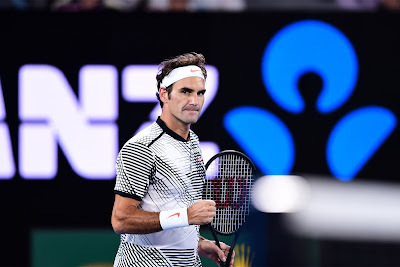 Swiss marvel Roger Federer blitzed long-time rival Tomas Berdych in straight sets to storm into the fourth round with a vintage performance at the Australian Open on Friday. The 17-time Grand Slam champion, seeded 17th after an injury-hit 2016, downed the 10th-seeded Czech 6-2, 6-4, 6-4, in just 90 minutes. Federer reached the round of 16 in Melbourne for the 15th time where he will face Japanese fifth seed Kei Nishikori. "From the baseline, honestly I felt worlds better than in the first couple of rounds. Yeah, it's wonderful. 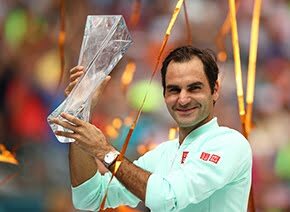 I'm really happy of course," Federer said. "I'm sure I've done some sort of a performance like this before. When you don't get broken, you don't have to save any break points, you're always in the lead, it's always easier to play." Any concerns that Federer might be in for a tough night evaporated with a double service break to lead Berdych 5-2 in the opening set. The Swiss maestro continued to put on a tennis masterclass to leave the big Czech floundering. 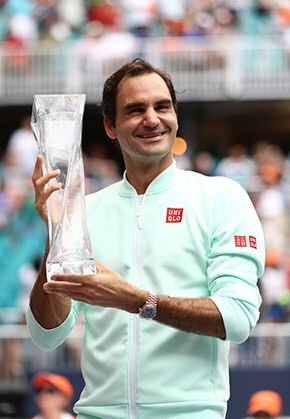 Federer breezed through the opening set in 26 minutes, made it 2-0 another 31 minutes later and cruised through the final set in 33 minutes to complete an astonishing demolition of one of his long-time rivals. Federer broke Berdych's big serve four times and did not face one break point on his own service, while hitting 40 winners against just 17 unforced errors. "I didn't expect it as such, to be honest, especially not this kind of a scoreline," Federer said. "Especially having to save no breakpoints, just always rolling on the serve. That was a big surprise to me. "I think it was a great mental test for me to see if I could stay in the match point for point, keep rolling. "I was able to do that. That's where I'm just really happy that I was able to deliver that. "I had no expectations really for tonight, but I did surprise myself." On facing Nishikori in his next match, the 35-year-old Swiss legend said: "I'm a big fan of his game. He's got one of the best backhands out there. I love how he can crush it down the line or crosscourt. "He's got wonderful second serve returns. He's fast on his legs. Strong in his mind. "I know how tough he is as the match goes along. He finds his range and his rhythm, he's tough to stop." It was the 23rd career meeting between the pair and their seventh meeting at a Grand Slam, and fourth at the Australian Open. Federer extended his record to 17-6 over Berdych and has won their last six meetings. The last time the Czech defeated Federer was in the semi-finals at Dubai in 2013. Earlier in the day, Kei Nishikori lost just eight of his first service points to beat qualifier and World No. 121 Lukas Lacko 6-4, 6-4, 6-4 in two hours and 11 minutes. "For sure it's not going to be easy facing Roger," said Nishikori. "He was playing great tennis today. I watched only a few points. But it's always great to play him. It's a big challenge for me. I'm just happy to play him because I think we needed him on the tour. I’m happy to see him back 100 per cent."